Floria Sigismondi brings her avant-garde artistry to the advertising world to showcase the beauty of Samsung’s Curved UHD television. 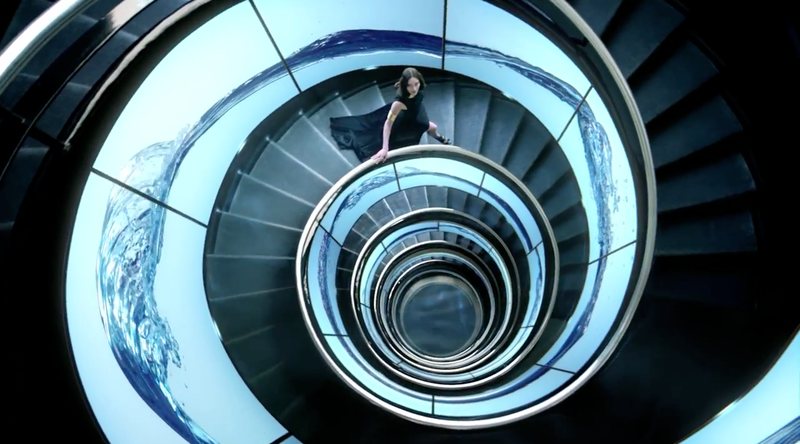 High fashion meets high cinema in the spot, as Sigismondi crafts a bold visual story that explores the color, depth and detail of the Curved TV experience. Sigismondi calls upon her fine arts background to create a world where hyper-real detail mixes seamlessly with a fantasy palette of cinematic vfx. Surrounded by the curved screen displays, several models interact with kaleidoscopic moving images, guiding and lifting waves of stunningly iridescent color out from the television. The flowing movement and luminous color combine in perfect harmony, accentuating the subtle contours of the screen. As only she could do, Sigismondi crafts an otherworldly campaign that mesmerizes the senses, perfectly capturing the stunning picture quality and immersive viewing experience of the Samsung Curved UHD TV. Floria Sigismondi, who is represented by Believe Media in the US and Quad in Europe, is renowned for her gorgeous, painterly visuals – a signature aesthetic that has made her one of the most acclaimed and awarded directors of today.